Sadly I can now confirm that the following Atlanteans have definitely been scrapped some time ago in fact but the info has just come to light. OCO 117S was also with them but its unclear what happened to this bus after 1997. OCO 118S was scrapped by Harris, Grays Essex in April 1997 after purchase from Southampton in 1993. OCO 120S we still don't know anything after 2007. A picture of 120 as AN120 in happier times in 1996 showing the more professional single door conversion work carried out by London AND Country. On a happier note 230 JJY 630G the Atlantean that has appeared on eBay several times has been purchased by www.theboozebus.com.au with the intention of restoring it for use as a Party bus this information came from Australia in last 48 hours and the bus has been moved in the yard under its own steam so some good news this was one of the few that got Citybus livery. Another unidentified Atlantean ex Plymouth jjy/g has also been photographed in Australia converted to a mobile home reported to be 229 but totally unconfirmed. Just to let PCT conservation group that we have purchased ex PCT 230 JJY 630G from the previous owner in Australia and also intend on restoring to as close to original as possible. We drove her under her own power from Melbourne in Victoria to Berry NSW (about 200k,s south Sydney NSW) about 800k,s!! The old girl would probably never have done so many k,s in one outing? If anybody has any more photos or info on our beautiful old bus please would very much appreciate same. We would really love to know what livery she would have been in around the early seventies or when she was first used. 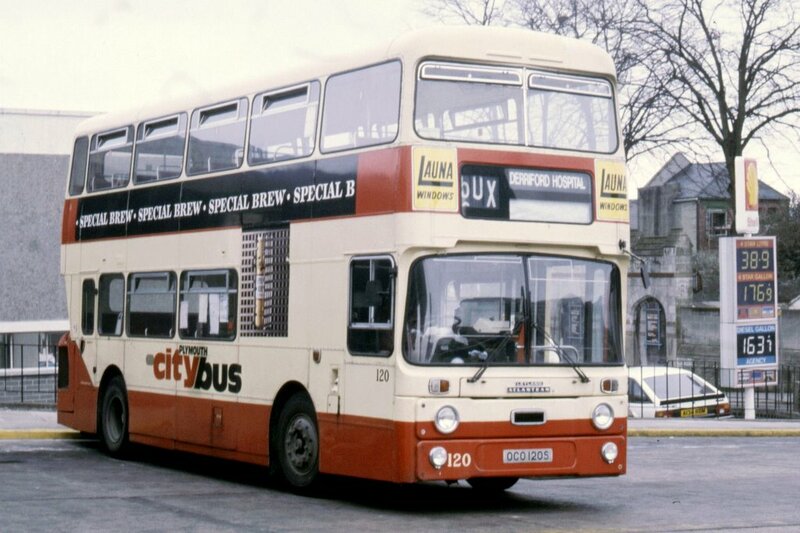 I believe built in 5/1969 and possibly used by Plymouth transport from 1970? Chassis no. is 804020 plate no.JJY 630G.